Nearly 20 years later I’m still discovering Colorado places that surprise and amaze me, but Glenwood Springs will always hold a special place in my heart. The view from our room at the Glenwood Hot Springs Lodge. 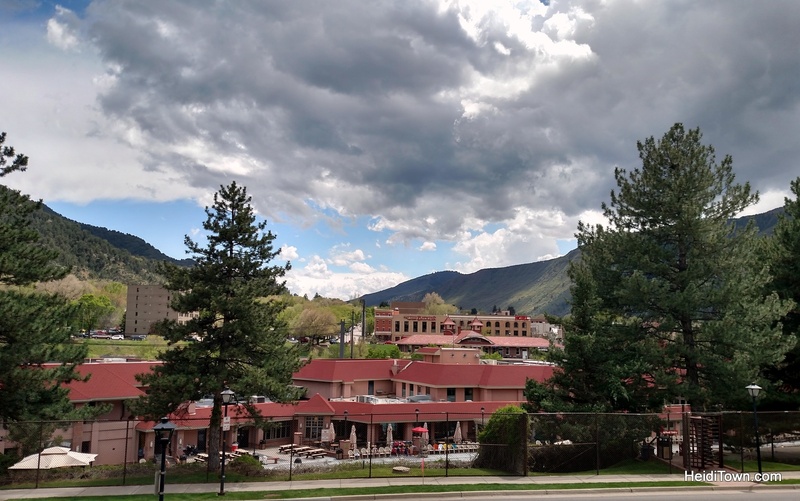 This spring we had the opportunity to do a one-night stay at Glenwood Hot Springs Lodge. A stay at the lodge comes with free breakfast and unlimited access to the hot springs pool, recently named “Best Hotel Pool” by Sunset Magazine and USA Today. After checking in at the hotel, my husband was off to Aspen for a meeting, so I discovered to do a little walking exploration of the town. I knew that there were a few new things in Glenwood since my last visit and I wanted to check them out. 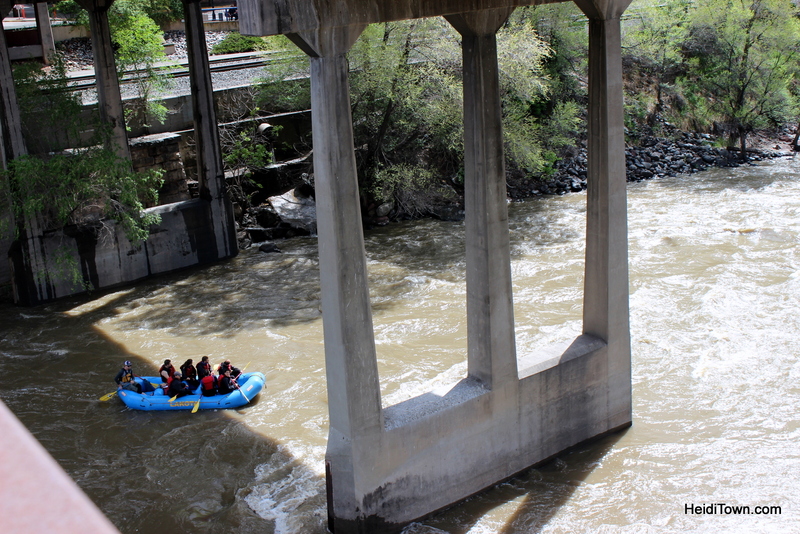 As I crossed the bridge to town I looked down and saw rafters enjoying the high, springtime waters of the Colorado River and then, to my delight, I heard the train. Amtrak was coming from the west and so I ran down as fast as I could in order to get some photos. Amtrak has arrived at the Glenwood Springs train station. As most of you know by now, I’m a bit of a train fanatic. Even watching a passenger train go by makes me excited. 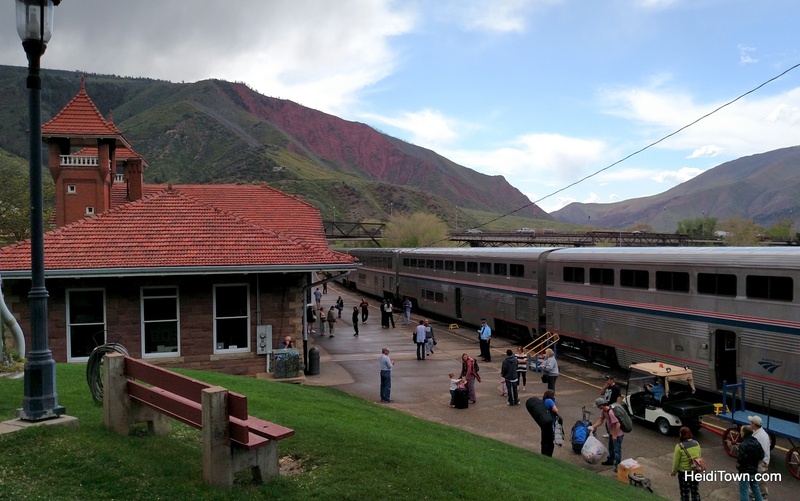 We’ve ridden Amtrak from Denver to Glenwood several times and it’s one of my favorite Colorado travel experiences. 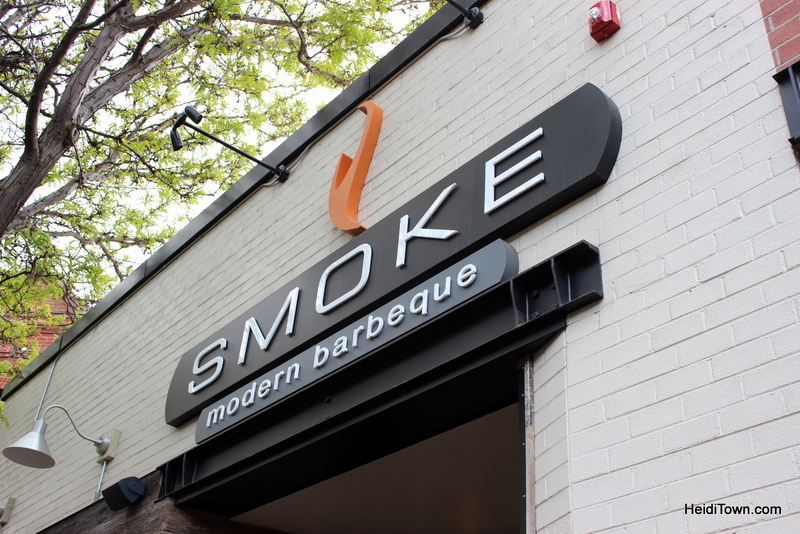 That evening we decided to hit Smoke Modern Barbeque for dinner. This is new since our last visit and I liked the modern look of the place. It’s a very nice addition to the Glenwood food scene and the barbeque was delicious. We loved the mac-n-cheese features. Plan on spending $15 to $25 for a barbeque meal here. After dinner we soaked almost until the pool closed. We love soaking at Glenwood Hot Springs in the evening. It’s often much less crowded and it’s so peaceful to watch the stars begin to twinkle high above as you soak. The next morning we had our free breakfast at The Grill at the Hot Springs Pool. It was a very satisfying meal. In the past, we’ve had very good hamburgers from The Grill; it’s a great place to cure those swimming hunger pains. After breakfast we soaked again. That’s one wonderful amenity at the Glenwood Hot Springs Lodge, unlimited swimming while you’re a guest, and we took full advantage. There’s a reason it was named “Best Pool” in America! 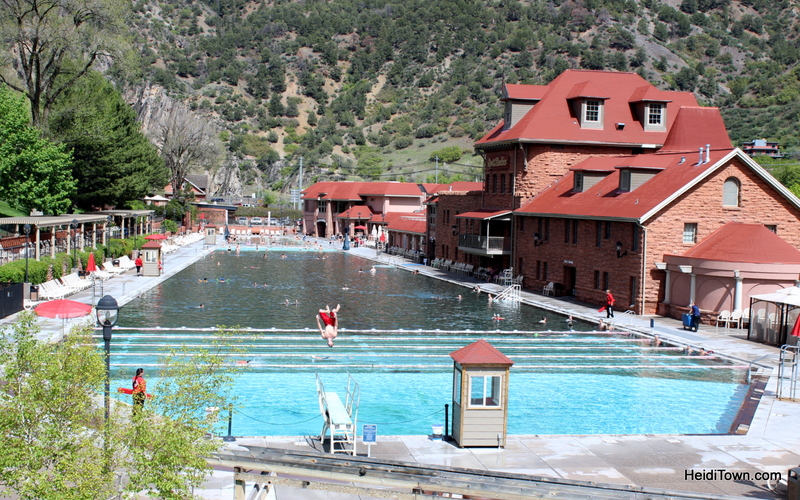 Whether you have a week or just a weekend, Glenwood Springs is an easy escape from the Front Range and offers everything from high flying adventure at the Glenwood Caverns Adventure Park to low key, soul satisfying soaks in the hot springs pool. Thank you to the Glenwood Hot Springs Lodge for hosting us on this trip. Hi Heidi I am looking for someone to write an article on a truly amazing human interest story. Could you please contact me? 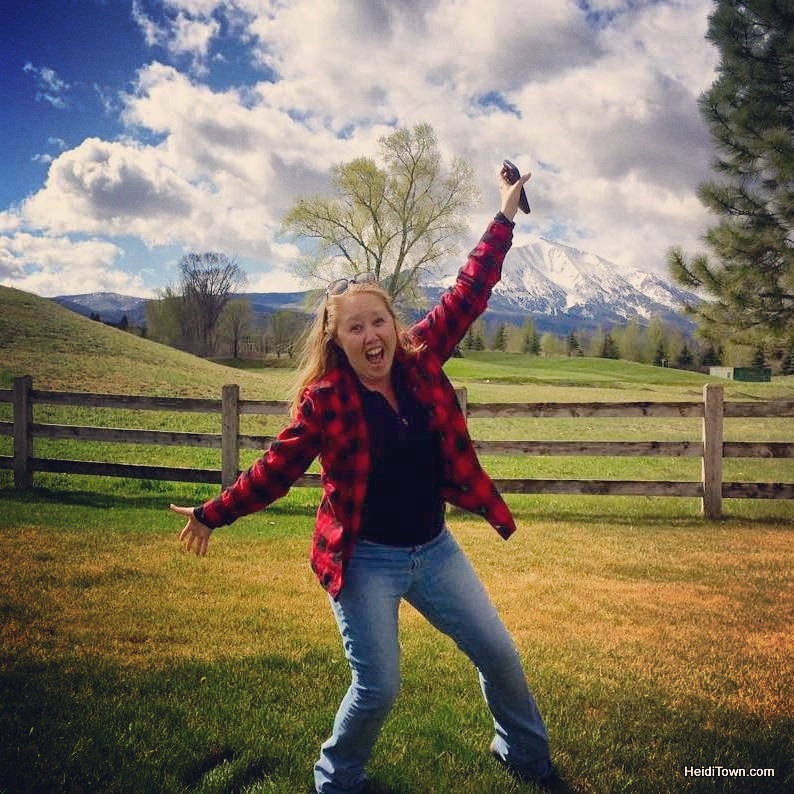 I am a freelance writer myself but don’t have the time to write it the way it needs to be written. I would greatly appreciate it!